Editor's Note: To finish out 2018, we're revisiting some of our favorite blog posts from the past year. This post was originally published on 7/18/18. We all know that Benedict Cumberbatch made his mark playing literary great Sherlock Holmes in the BBC series Sherlock, but how many other literary Cumberbatch roles can you name? While we could spend literally his entire birthday coming up with literary misspellings of his name and other bookish memes, we’d rather celebrate the literary roles that decorate his IMDB page. After watching him for years as the brilliant detective Sherlock Holmes, it wasn’t a huge leap to accept him as an incredible coder and mathematician as well. In The Imitation Game, based on the Andrew Hodges biography Alan Turing: The Enigma, Benedict Cumberbatch plays Alan Turing, a mathematician who saved the Allies from the Nazis by cracking the German Enigma code with the help of Britain’s top mathematicians – including badass Joan Clarke, played by Kiera Knightly, natch. It’s a riveting true story of war, math, and perseverance and we loved every moment of it. Like many prolific actors, Benedict Cumberbatch has a six-movie contract with Marvel. Six movies looks like a huge number on paper, but with three films already under his belt, that contract will be up in no time. Based on the Doctor Strange comics, Benedict Cumberbatch’s Doctor Stephen Strange is a brilliant neurosurgeon drawn to the world of mystic arts. And while his name – and his goatee – give him that quintessential villain look, Doctor Strange is a superhero of the highest order. He could use a new PR person, if you ask us. Benedict Cumberbatch is doing double duty in The Hobbit, a series of three movies based on the, um, only 300-page book. In these films, Cumberbatch splits his time between playing The Necromancer, a magician who later becomes The Lord of the Rings, and Smaug, a dragon with his own title credit. It’s unusual for an actor to provide the voice for two CGI characters in the same movie, but Cumberbatch isn’t your usual actor. This is a man who has an incredible collaboration with his Sherlock co-star Martin Freeman, so much so that he’ll play a bunch of non-human roles opposite him. And, okay, he may also be a massive J.R.R. Tolkien fan. But that remains unconfirmed. 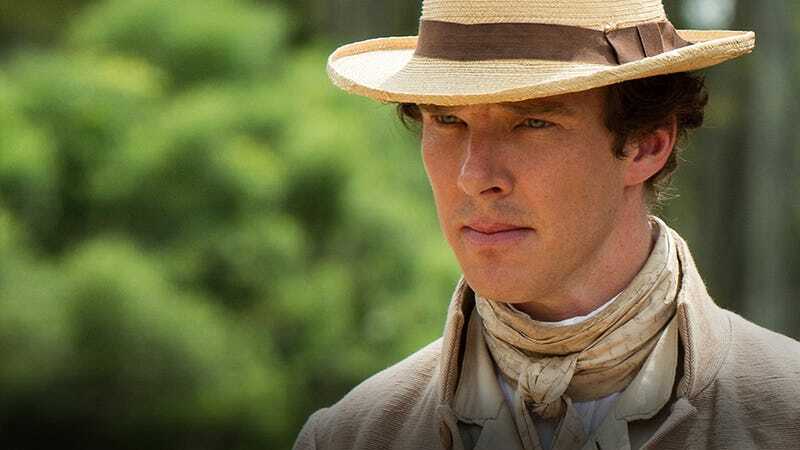 In the 2013 historical film 12 Years a Slave, based on the memoir by Solomon Northup, Benedict Cumberbatch plays plantation owner William Ford. This film is based on the account of former slave Solomon Northup, so it shouldn’t come as a surprise that Cumberbatch is playing a white slave owner. His role is complicated by the fact that he’s a pastor and sees himself as a pious man. But when he sells Solomon to pay off a debt, it becomes even more clear that he’s not the good pure man that he thinks he is. Because a truly good man would never exchange a human life for what is essentially just numbers. 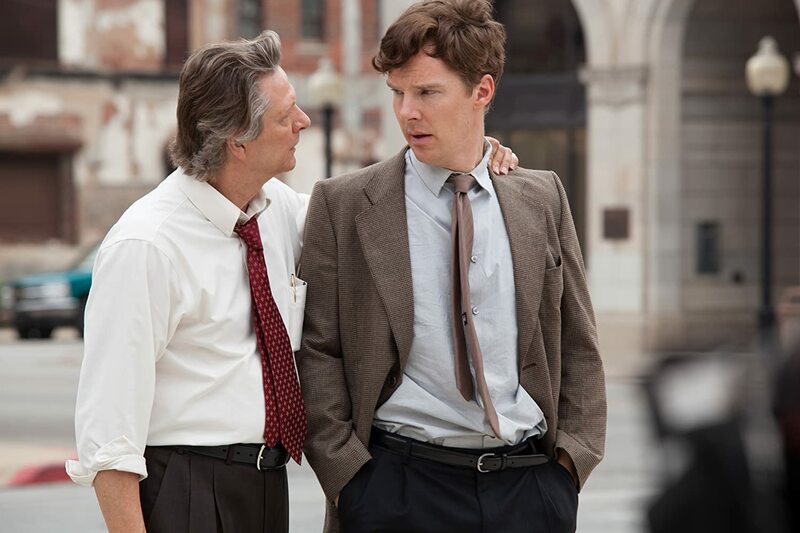 Benedict Cumberbatch really stretches himself as Little Charles Aiken in the 2013 film August: Osage County, based on the Tony Award winning play by Tracy Letts. Over the course of this film, Little Charles (dubbed “Little” because he shares the name with his father) not only misses a major family event – the funeral of his uncle Beverly – he also announces that he’s moving from Pawhuska, Oklahoma to New York and marrying his first cousin Ivy. (Oh boy.) And that’s just the tip of the iceberg.